This article explains the issues that occur in case of infection with .tro files virus and provides a complete guide on how to remove malicious files and how to potentially recover files encrypted by this ransomware. An infection with the so-called .tro files virus leads to the corruption of important files. 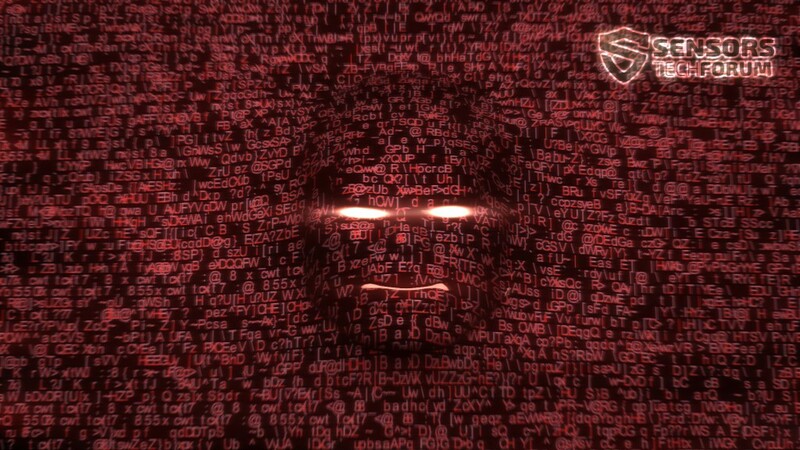 For their corruption, it utilizes sophisticated cipher algorithm. 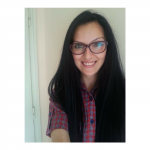 With the help of this algorithm, it transforms parts of the original code of target files and leaves them out of order. Soon after this ransomware encodes target files, it opens a ransom message to extort ransom payment for their recovery. 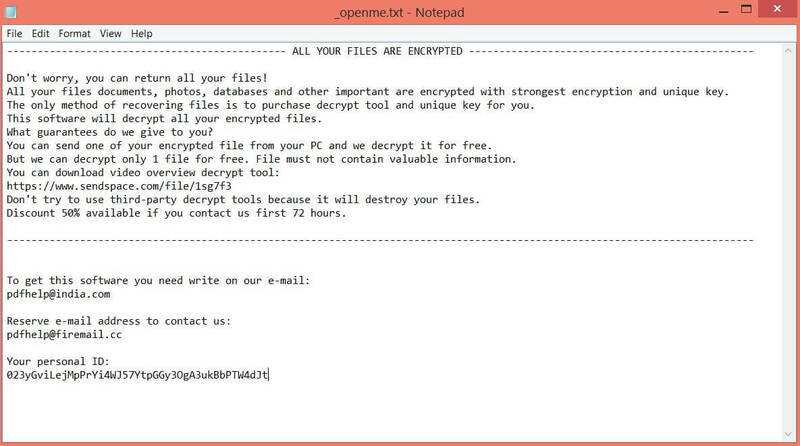 Short Description A data locker ransomware that utilizes strong cihper algorithm to encrypt valuable files stored on the infected computer. User Experience Join Our Forum to Discuss .tro Files Virus. There is a decrypter tool released for STOP ransomware’s .tro files virus variant. The tool was initially released for the .puma, .pumax, .pumas versions of the cryptovirus. Michael Gillespie has updated it to also support .djvu, .djvuq, .djvur, .djvut, .djvuu, .pdff, .tfude, .tfudeq, .tro, .udjvu, .tfudet. You can download the tool via the Decryption Tool link here. The tool requires a pair of an original file and its encrypted version. An URL address presented in the form of an in-text link, button, image, banner or other form. Once loaded in the browser the web page associated with this link usually triggers an automatic download process of the malicious ransomware payload. After downloading the payload the same page usually activates specific scripts that execute it directly on your PC. An attachment that contains the malware in it. Usually, according to the text message this file should be reviewed as soon as possible due to the importance of its information. The moment you open it on your device is the moment when you trigger the infection process with .djvu files virus. 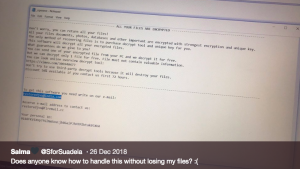 This file may be a familiar type of file such as .rar, .zip, .7z, .docx When infected such a file could be set to evade active security measures and complete the attack without leaving you any chance of detecting the malicious activities it performs on the background. Since the security of your device and your data is of paramount importance we recommend you to use the help of free online scanners like VirusTotal and ZipeZip every next time you receive a questionable email that contains any of the mentioned components. With the help of these scanners, you will easily identify whether the components are malicious or not. 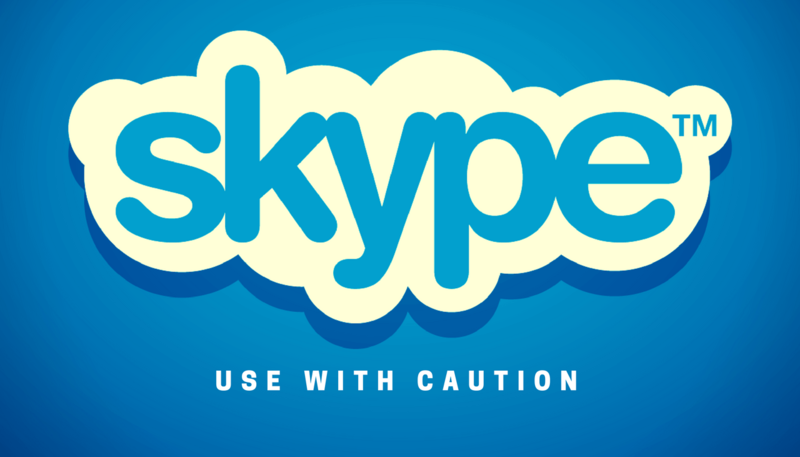 Skype viruses, potentially unwanted programs, infected third-party app installers and fake notifications for software updates. .pdff, hackers decided to shift to this brand new variant that is associated with the .tro extension. Now let’s review what happens when this threat manages to run its payload file on a target system. With the help of all established malicious files, .tro ransomware interferes with the settings of essential system components. One of the affected components is likely to be the Registry Editor. Since it is a hierarchical database that keeps low-level settings for the Windows operating system, ransomware is often set to access and plague it. This could be explained by the fact that some registry keys’ functionalities enable the ransomware to load on each system start. Beware that the decryption tool possessed by hackers is NOT the only method of recovering files. There are several alternative data recovery approaches that may be helpful for the restore process of corrupted files. Furthermore, there is no guarantee that hackers will send you a working decryption key even when the ransom is paid. A sure trait of a file encrypted by .tro files virus is an extension of the same name .tro appended to its name. The ransomware associated with .tro extension is a threat with highly complex code that plagues not only your files but your whole system. So you should properly clean and secure your infected system before you could use it again. Below you could find a step-by-step removal guide that may be helpful in attempting to remove this ransomware. Choose the manual removal approach if you have previous experience with malware files. If you don’t feel comfortable with the manual steps select the automatic section from the guide. Steps there enable you to check the infected system for ransomware files and remove them with a few mouse clicks. Threats such as .tro Files Virus may be persistent. They tend to re-appear if not fully deleted. A malware removal tool like Combo Cleaner will help you to remove malicious programs, saving you the time and the struggle of tracking down numerous malicious files. Threats such as .tro Files Virus may be persistent on your system. They tend to re-appear if not fully deleted. A malware removal tool like SpyHunter will help you to remove malicious programs, saving you the time and the struggle of tracking down numerous malicious files. Note! Your computer system may be affected by .tro Files Virus and other threats. SpyHunter is a powerful malware removal tool designed to help users with in-depth system security analysis, detection and removal of threats such as .tro Files Virus. 1. Install SpyHunter to scan for .tro Files Virus and remove them. 2. Scan with SpyHunter, Detect and Remove .tro Files Virus. Ransomware infections and .tro Files Virus aim to encrypt your files using an encryption algorithm which may be very difficult to decrypt. This is why we have suggested several alternative methods that may help you go around direct decryption and try to restore your files. Bear in mind that these methods may not be 100% effective but may also help you a little or a lot in different situations. Note! Your computer system may be affected by .tro Files Virus or other threats. Remove .tro Files Virus by cleaning your Browser and Registry. Fix registry entries created by .tro Files Virus on your PC. Combo Cleaner is a powerful malware removal tool designed to help users with in-depth system security analysis, detection and removal of threats such as .tro Files Virus. Step 5: In the Applications menu, look for any suspicious app or an app with a name, similar or identical to .tro Files Virus. If you find it, right-click on the app and select “Move to Trash”. Step 6: Select Accounts, after which click on the Login Items preference. Your Mac will then show you a list of items that start automatically when you log in. Look for any suspicious apps identical or similar to .tro Files Virus. Check the app you want to stop from running automatically and then select on the Minus (“–“) icon to hide it. 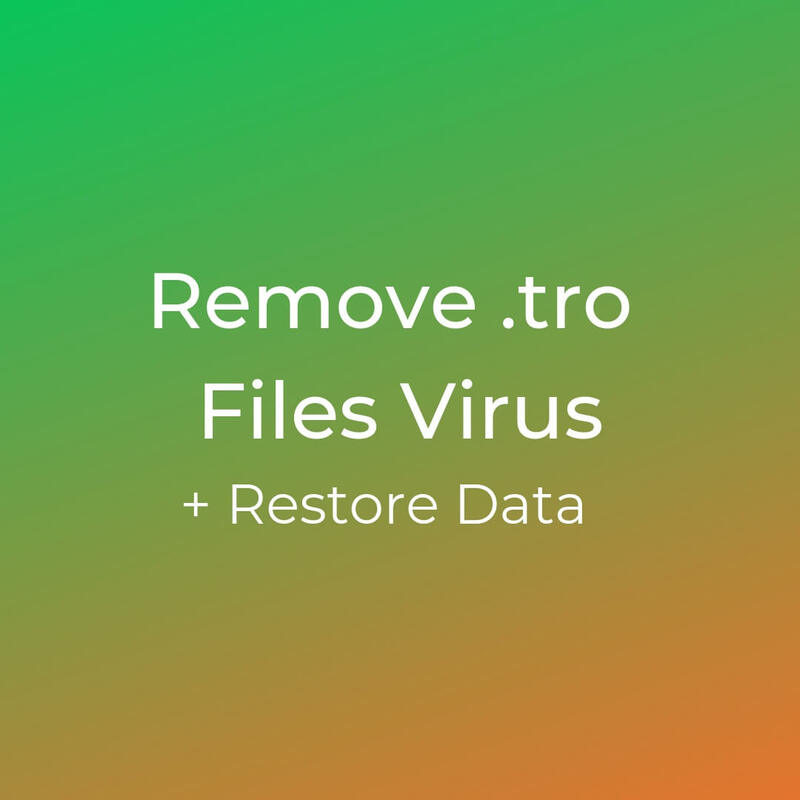 Remove .tro Files Virus – related extensions from your Mac’s browsers. A pop-up window will appear asking for confirmation to uninstall the extension. Select ‘Uninstall’ again, and the .tro Files Virus will be removed. When you are facing problems on your Mac as a result of unwanted scripts and programs such as .tro Files Virus, the recommended way of eliminating the threat is by using an anti-malware program. Combo Cleaner offers advanced security features along with other modules that will improve your Mac’s security and protect it in the future. 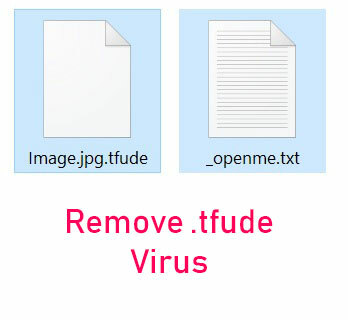 Hey !, I found this information for you: ".tro Files Virus – How to Remove It". Here is the website link: https://sensorstechforum.com/remove-tro-files-virus/. Thank you.